In the United States, birth injures are fairly common. Many birth injuries are insignificant and heal without medical attention; others are more serious and require ongoing medical treatment. Brachial palsy refers to a birth injury in which the nerves in the child's shoulder are damaged or stretched, resulting in decreased arm and hand mobility. Depending on the severity of the injury, the child may require surgery. Most brachial plexus injuries only stretch the nerves; others rupture them. If the nerves are badly damaged or completely disconnected from the baby's spinal cord, serious medical attention may be required. There are a multitude of potential, long-term side effects that may follow a brachial plexus injury. Sometimes, brachial palsy causes decreased innervation. Simply put, innervation refers to supply nerves. When these nerves are damaged, the child's movement and sensation abilities may be damaged as well. Additionally, a serious brachial plexus injury may cause the child's arm to develop improperly. Innervation not only allows the baby to feel, but to grow properly. If necessary, doctors may perform a nerve graft to supply the affected region with nerve capabilities. However, nerve grafting does not always work and the child may be left with permanent physical damage. After a brachial plexus injury, the newborn may suffer from decreased stamina. Without a proper nerve supply, the baby's arm will not be as strong. Fewer nerves means that the arm cannot build the same amount of muscles as it normally would. Although some people believe that this problem can be fixed through therapy and exercise, decreased stamina and muscle strength can only be improved - there is no cure for this long-term side effect. Why? Once the nerves have been permanently damaged, only the functioning nerves and muscles can be improved through therapy. Permanent nerve damage is irreversible. After a brachial plexus injury, the child's nerve balance across his/her arm, shoulder and wrist may be impaired. What does this mean? In short, your arms and shoulder cannot move properly without muscle balance. After an injury, the nerves in the brachial plexus are damaged, throwing off the muscle balance across the shoulder, arm and hand. When the muscle strength is poorly exerted across the arm, the child may develop unusual wear patters, decreased movement and impaired joint function. When this happens, the child may not be able to move his/her arm properly. Over time, biomechanical problems increase the child's risk of developing premature osteoarthritis in the shoulder. Proper bone growth is directly related to the child's muscles. Simply put, bone growth responds to the amount of pressure placed on it by outside forces, such as muscles. Without the proper amount of muscles pressing against the bone, the bones in the child's arms may not develop properly. This may result in weak, underdeveloped bone mass in the child's arm, hand and shoulder. Generally speaking, children who suffer brachial plexus injuries are more susceptible to developing bone-related problems. Doctors are able to see whether or not the child's bone growth has been affected by measuring the largest bone in the arm - the humerus. When a child's bones do not develop properly, he/she is more susceptible to bone fractures and other injuries. Some children who suffer severe brachial plexus injuries develop a condition called Horner's Syndrome. Horner's Syndrome is characterized by a drooping eyelid on the affected side of the child's body. Because of the nerve damage sustained during a brachial plexus injury, a child with Horner's Syndrome may appear to have different sized pupils or different colored eyes. Additionally, one eye may appear to be sunken into the skull. Horner's syndrome is physically evident which may leave the child with psychological problems. After an injury, your child may suffer adverse psychological effects later in life. If your child's brachial plexus injury leaves him/her with a physical disability, he/she may become self-conscious. Most of the time, the psychological effects of your child's injury will not be evident as a young child. Toddlers and young children are not self-conscious; they do not noticed differences between themselves and other children. However, as your child grows older, he/she may become uncomfortable with these differences. As a parent, it is important that you help your child maintain a positive self-image. Your child may become easily discouraged because he/she cannot participate in certain physical activities. Be ready to help them understand the fact that they have limitations that other children do not. You can help your child through this process by encouraging him/her to participate in activities that he/she excels at. Although this will not cure a brachial plexus injury, it allows children the opportunity to understand their strengths and cope with their disabilities. Sometimes, brachial plexus injuries are unavoidable, but this is not always the case. If your child suffered a brachial plexus injury because of a careless or negligent medical professional, you may be entitled to financial compensation. 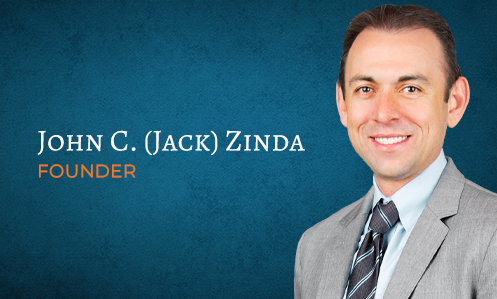 At Zinda Law Group, we are whole-heartedly dedicated to fighting for the rights of our clients in court. We believe that careless doctors should be held responsible for their actions - especially when their negligent behavior hurts an innocent child. We have more than ten years of experience in the legal field; let us put it to work for you. Contact the firm today.